A University, a Museum, an International Aiport(Hamilton at least had international flights) etc. Looking at these three big factors I can see why Tauranga is not keeping up with it's population projections. Tauranga needs these three(Not so much the airport yet) buildings somewhere in Tauranga to keep up with projections. Let's go over each of these three buildings and their pros and cons. 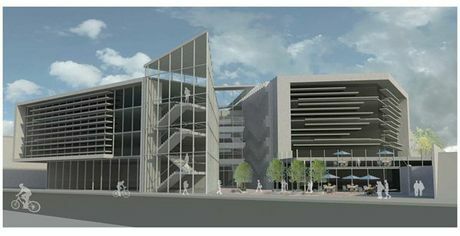 The proposed Tauranga "University" Campus. each city must have with a large enough population. Tauranga seems to be missing out, Dunedin has a population of about 122,000 and just under a 1/4 are their uni students. Tauranga is starting to become a Retirement City, with a bulk of their students going to The University of Waikato. Tauranga needs to get this University fast however only the council debt is holding us back. As of October 2013 the debt is $380,000,000, less than Hamilton's but still high. If we clear the debt only good things will come for example The University. Classic Flyers, Tauranga's closet thing to a proper Museum. Secondly The Tauranga Museum, this debate has been raging on for 20+ years now with absolutely no progress. Finally, about 1-2 months ago we had our plans drawn up but a new problem arose. Where to put the Museum? There are two options, a new but unused building or some empty free land. what would you choose? And finally, our one and only Tauranga International Airport. Tauranga's Airport is the fourth busiest in New Zealand, just behind Auckland, Wellington and Christchurch International Airports. Difference is, we are not an International Airport. So just Build on, Not anytime soon! If we built a Tauranga International Airport, our debt would increase and be an obvious blunder. Just look what happened to Hamilton International Airport, it flopped. When our airport exceeds capacity, only then will we get this conversation up and running. Case Closed. So out of these three options I believe we should choose none. When we lower our debt, then I will choose Tauranga International Airport. Why? Because it will take a long time to clear our debt! Please Comment/ E-Mail me what you think.